Annie ring in .925 de-ox silver that won't tarnish like sterling silver. 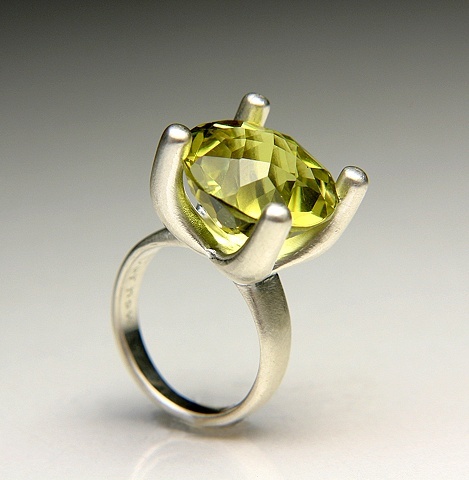 This ring has a 11.89 carat 15mm round Lemon Citrine. Size: 5 3/4 contact us about sizing. #JC518 - Signed by Jewels Curnow.